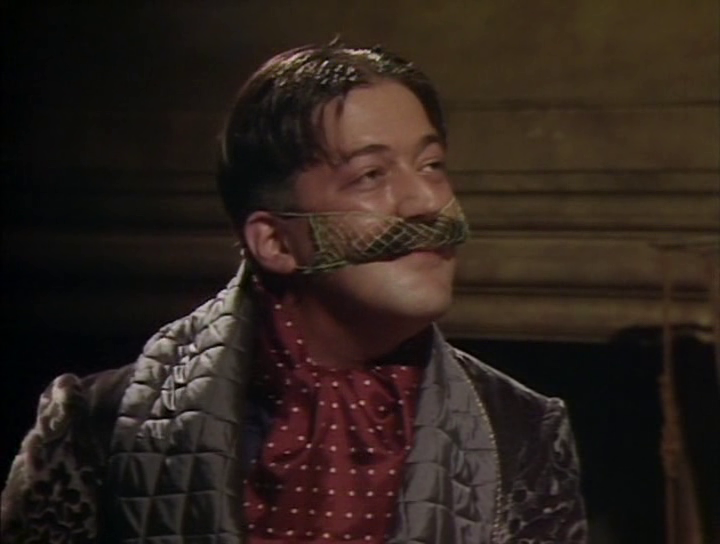 General Melchett combines his university experience, knowledge of rugby and even flower arranging to display some unique leadership skills in Blackadder. 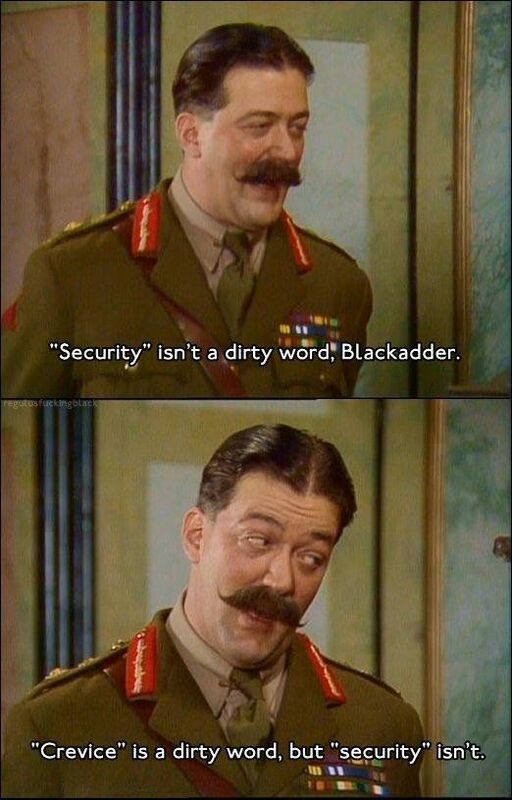 One of the best characters in Blackadder Goes Forth was General Melchett. Reflecting a time when it wasn’t what you knew, it was where you went to school, he epitomises our image of World War 1 Generals. Namely, they didn’t have a clue what they were doing! 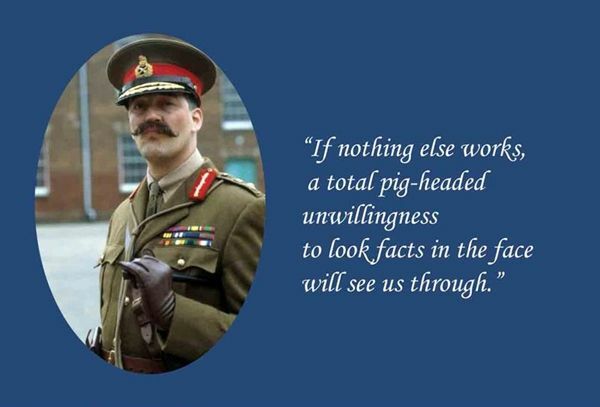 Let’s take a look at some of his genius moments in leadership when it comes to sending Blackadder and the boys into battle! Before the General sends anyone into battle, he aims to improve the men’s morale! I’m just going to have to sit this one out on the touchline with the halftime oranges and the fat, wheezy boys with a note from matron, while you young-bloods link arms and go together for the glorious final scrumdown. 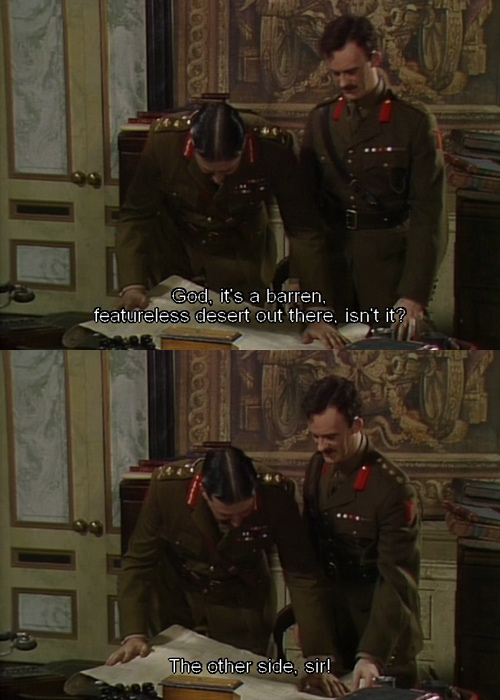 The General also makes sure he consults a good map before he starts any planning. 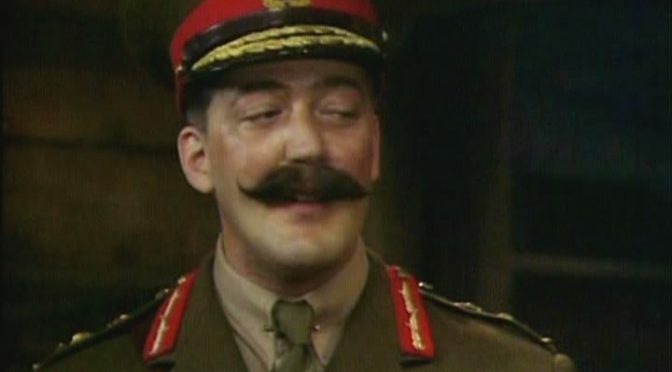 Of course, General Melchett didn’t come up with all the battle plans by himself. Field Marshall Haig also lent a hand. If you want to read a little more about him, this is interesting – Was Field Marshall Haig a hero or dunderhead? Would this brilliant plan involve us climbing out of our trenches, and walking very slowly toward the enemy, Sir? 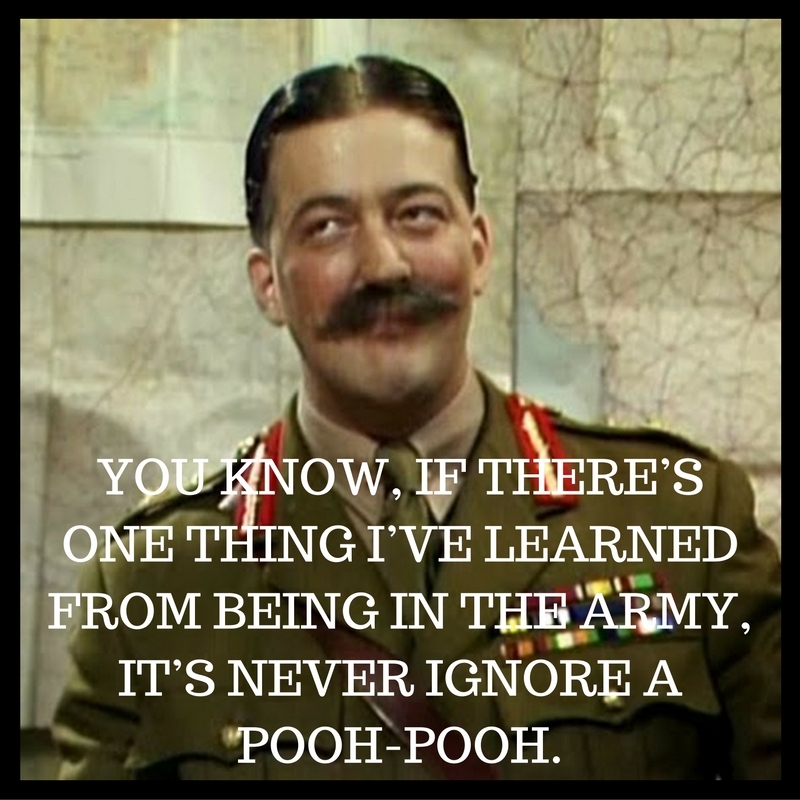 General Melchett likes to be innovative when it comes to battle tactics. Make a note Darling! Heavy machine guns for fullbacks. Once the General has made a battle plan, security is vital! The General knows just how important it is to celebrate a victory. 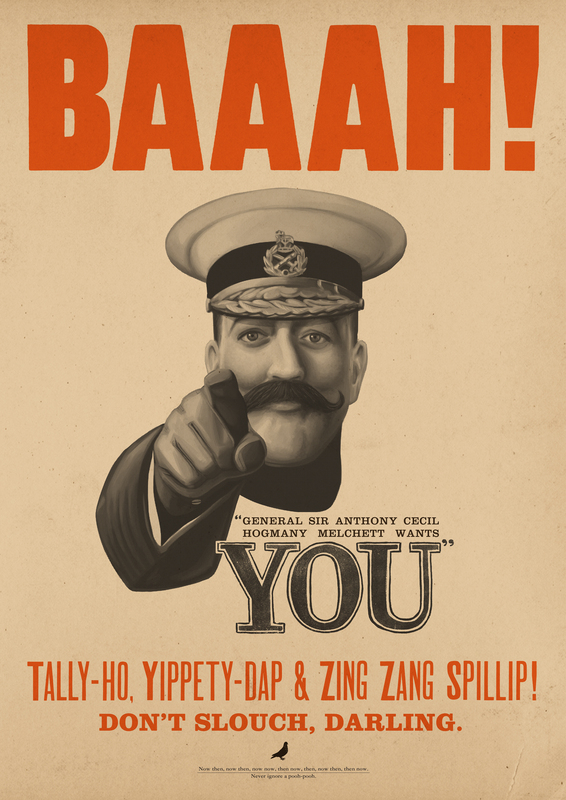 Here’s all the clips of General Melchett and his military genius in one place!